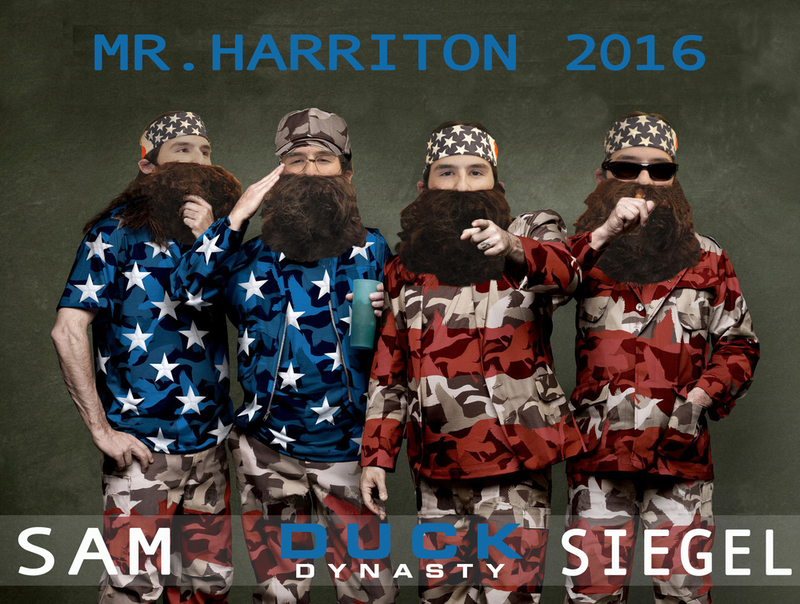 Mr. Harriton is a student-led event sponsored by Mr. Robinson. The event’s main purpose was to raise money for various organizations and charities and this year the Harriton Community was able to rack in over 19,000 dollars! Former Officers Willie Marks, Coby Levit, Noah Karpel, Jake Diamond-Reivich, Ben Barnett and their co-chairs spearheaded the show, and curated the wonderful production. Because this year’s theme was television shows, each performance was centered around their own show. Although it’s been almost 3 months since the show, the boys of Mr. Harriton 2016 will forever be in our hearts. Nate Rush became the reigning Mr. Harriton 2016 champion. He surprised the audience with what they thought was going to be a “poetry interpretation,” but he instead he lit up the auditorium with his wheel. He built the wheel over the summer, and practiced everyday until his act was perfected. He coded his suit to the song “Indian Summer” by Jai Wolff and finished off the show. Mr. Harriton 2016 was unforgettable, irreplaceable and unbeatable.